Prepare to be in a world of comfort like you have never felt before in the men's Simon full slippers by Sleepers. Featuring a delicately soft upper, these slippers provide a sleek and stylish look for your feet whilst the padded textile lining provides limitless warmth and comfort for your feet as it surrounds them keeping them cosy all night long. 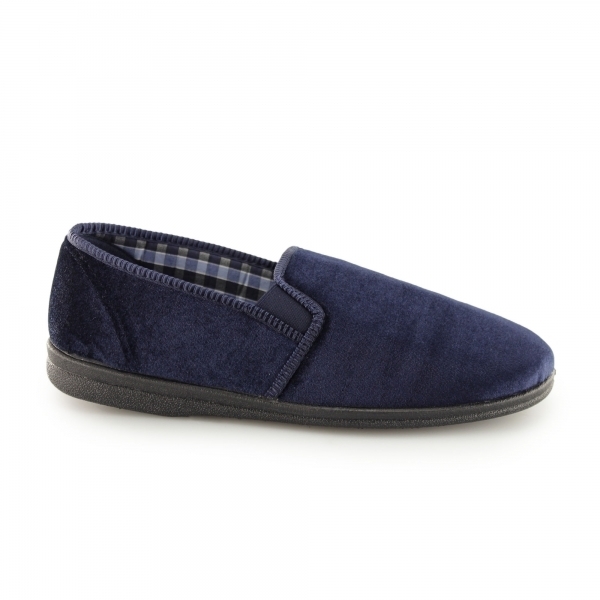 With a durable PU sole, these are ideal slippers whilst going out into the garden for some light outdoor wear, perfect for a man who loves to do a spot of gardening.